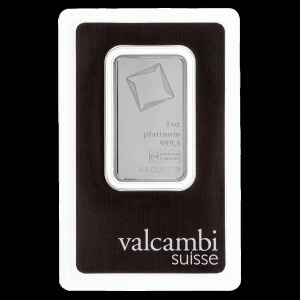 The Canadian Palladium Maple Leaf Coin is one of the purest palladium coins in the world. 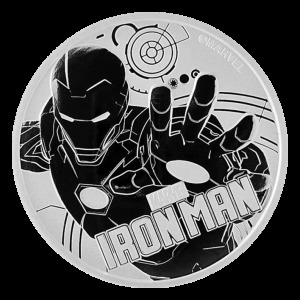 Since its introduction by the Royal Canadian Mint in 2005 this annual series has featured a similar design as other Maple Leaf coins from this mint. 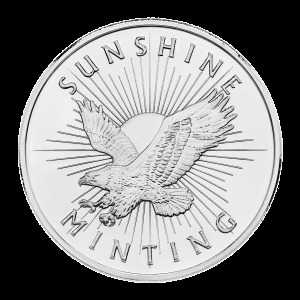 The coin was discontinued in 2007, then minted again in 2009. The globally-familiar Canadian maple leaf emblem is showcased on the reverse of this palladium bullion coin and the obverse features the most recent official portrait of Queen Elizabeth II. Canadian Palladium Maple Leaf coins are a timeless gift, a smart investment and a mark of true national pride - own your piece of the True North today. These coins may be tarnished, scratched or visibly handled. Year and condition are subject to availability. 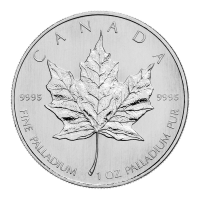 1盎司随机年加拿大枫叶钯币 The Canadian Palladium Maple Leaf Coin is one of the purest palladium coins in the world. Since its introduction by the Royal Canadian Mint in 2005 this annual series has featured a similar design as other Maple Leaf coins from this mint. 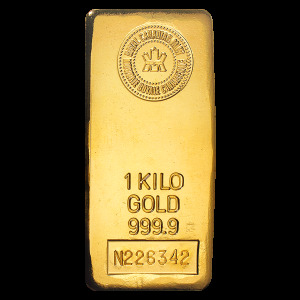 The coin was discontinued in 2007, then minted again in 2009. The globally-familiar Canadian maple leaf emblem is showcased on the reverse of this palladium bullion coin and the obverse features the most recent official portrait of Queen Elizabeth II. Canadian Palladium Maple Leaf coins are a timeless gift, a smart investment and a mark of true national pride - own your piece of the True North today. These coins may be tarnished, scratched or visibly handled. Year and condition are subject to availability.